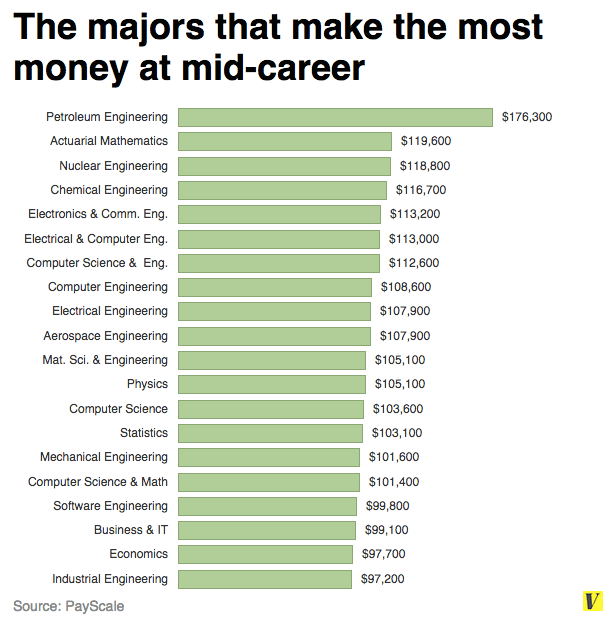 Vox.com has recently shared some fascinating data about the earnings of US graduates by major. In my view, the most instructive charts at the ones that compare early-career earnings by major with mid-career earnings. 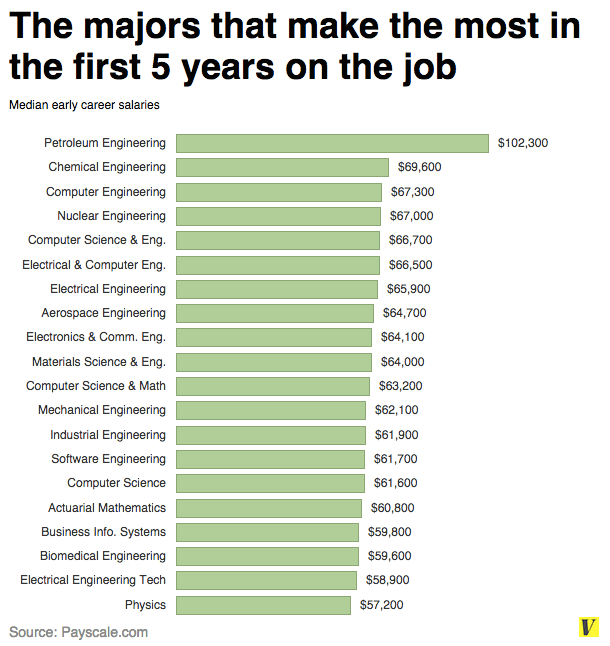 As you would expect, graduates with degrees in very marketable disciplines such as petroleum engineering do very well in the years immediately after college. If you look at what forty-something graduates are earning, however, the disparity is far less stark. Equivalent UK data can be found here. 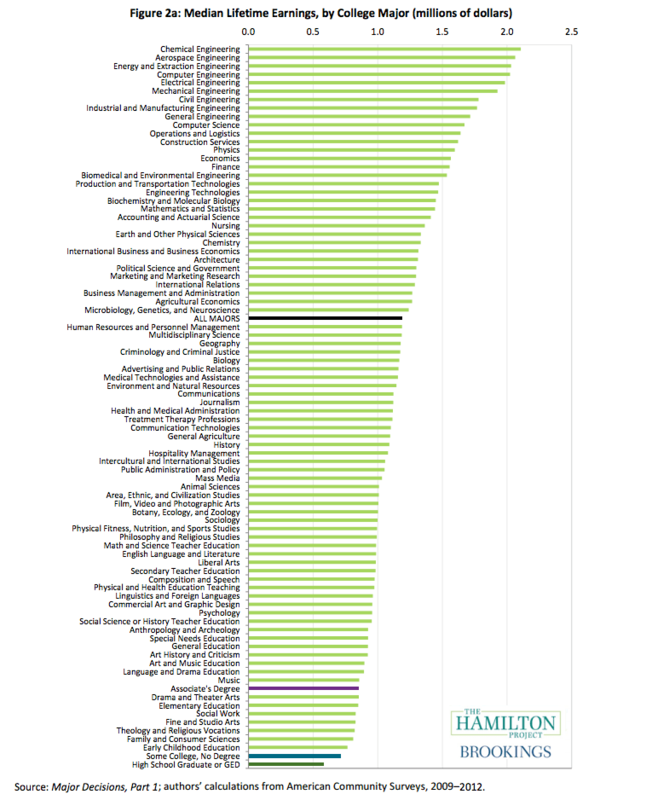 In the UK, it appears that the most lucrative degree subject is Medicine. Interestingly, the 10th most lucrative subject is Japanese Studies: graduates with degrees in this subject earn an impressive £36,437.